I was fortunate to be asked to appear in a news story for That's Oxford TV this week. It was a wonderful opportunity to talk about good causes associates with Creativity and to promote our Gig-Arts charity which is based at the ICE Centre in Carterton. It was also a great privilege to involve our associates; Charlotte Taylor, a Gig-Arts student from Burford School and a whole host of inspiring special needs artists from Carterton. It was an excellent team effort. Watch this space for a link to the TV news story. Despite the storm outside, our spirits were high as we celebrated our Special Gig-Arts Event in Carterton on Monday 30th November 2015. 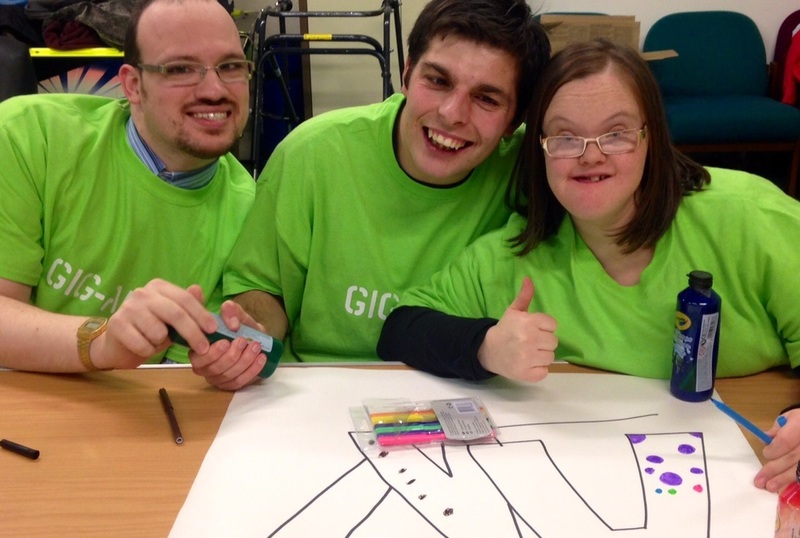 The ICE Centre venue played host to our event which welcomed more than twenty young people with severe learning difficulties and physical and mental health problems - Some from local supported housing and others from a special needs group at Abingdon and Witney College. It was an exciting day of inclusive art music and drama which culminated in an improvised stage show performance. All the participants gained awareness of their passion for art and music, and for many it was a first time experience to take part in a show. The participants cheered, "This is brilliant!" 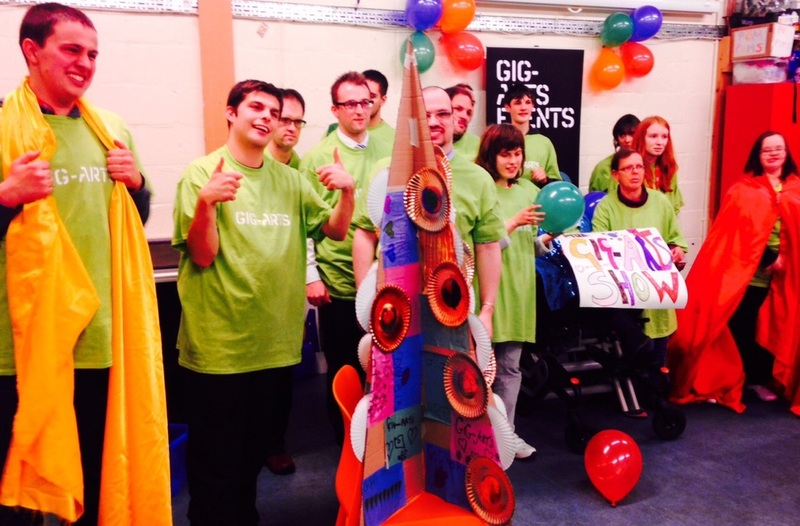 Gig-Arts was delighted to receive support from A-Plan Insurance who are based in Carterton. Representatives from A-Plan were keen to meet the Gig-Arts participants and join in with the event. The company will also be displaying the colourful 'Happy Tree' artworks which were made from recycled materials during the Gig-Arts Event. A-Plan will also be joining Gig-Arts again on Monday 14th December from 1.30pm to 2.30pm at a Gig-Arts Giving afternoon at the ICE Centre in Carterton. 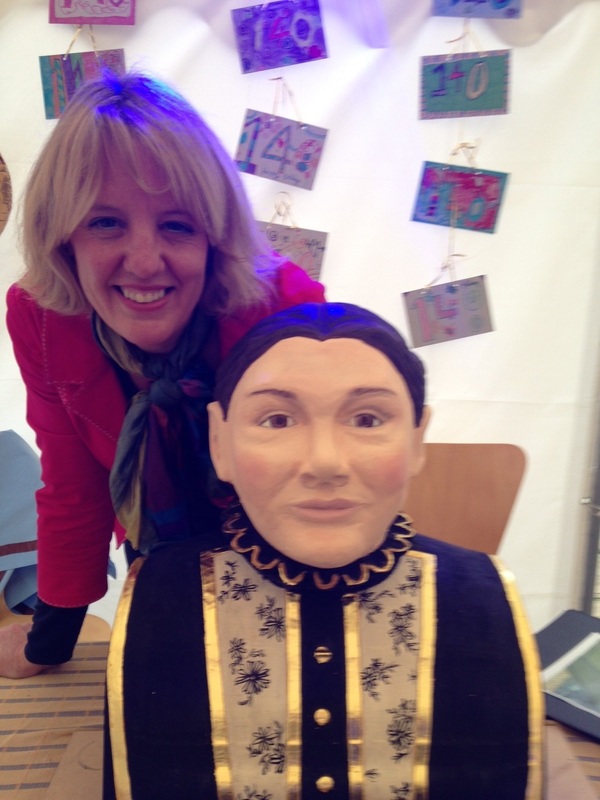 Opportunities to use the Arts to unite business communities and special needs groups are an excellent way to build an inclusive community and an appreciation that we all have creative talents to share. 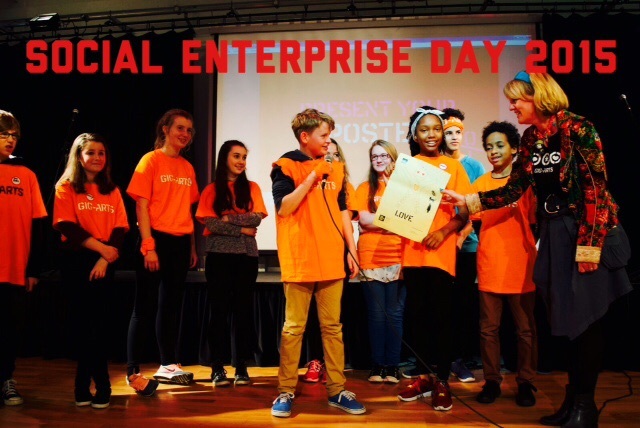 It is Social Enterprise Day! Today is Social Enterprise Day, as part of Global Entrepreneurship Week, it is a day to celebrate Social Enterprises and the inspiring entrepreneurs behind them. As the co-founder of a pioneering charity called Gig-Arts, I'm excited that there is only one week to go until the 2015 Gig-Arts Awards. We look forward to continuing this celebration of creative social entrepreneurship and recognising the outstanding achievements of our shortlist this year. Today also marks the countdown to the 30th November 2015 Special Gig-Arts Event in Carterton, Oxfordshire, highlighting the passion of our commitment to working with creative young people with special needs. We remember that small changes make a big difference, especially at this time of year, and we're excited about the impact and outreach that our activities will have across Oxfordshire. This month I have also been planning a series of new video blogs which will be launched on You Tube in December. There's much to look forward to! Gig-Arts, has teamed up with the Oxfordshire Business Enterprise Alliance (OBEA) and will be putting on a Creative Enterprise event at the Marlborough School Enterprise Centre on Tuesday 13th October 2015 between 9.30am and 2.30pm. There will be more than 40 children aged 13 to 14, all of whom are looking for a career in the visual and performing Arts, who will be coming from four schools – The Marlborough School in Woodstock, the Wheatley Park School in Oxford, Gosford Hill School in Kidlington and the Lord Williams's School in Thame. On Friday 19th June it was National Care Home Day. Connecting with the older generation is a great way to take a new perspective, develop new ways of creative thinking and connect with the community. Welcome to my new ‘Set Free Your Creativity’ website. So often we get caught up in the round and round carousel of life – and sometimes there comes a need to jump off. If you want to spread your wings and find new meaning in your life, you’ve come to the right place.